Getting to sold-out event is no small task. In this guide you’ll learn partnerships, different marketing channels and key strategies can help sell registrations and selling tickets fast. Event organizers have a lot of responsibility. There’s last-minute ticket sales, building an event website, creating a marketing plan - and that’s just the tip of the iceberg. Event tickets are the lifeblood of your strategy. Without them, all this hard work can feel wasted. And now, events are more relevant than ever. A survey shows that 67% of event professionals in the U.S. view event marketing as their most effective strategy. Organizers interested in using this foundational marketing tactic to its maximum potential should invest in learning more about how to master online ticket sales. To help you achieve this goal, we’ve put together this list of our top 20 actionable tips. In this event strategy guide, we’ll focus on the best way to sell tickets online and how you can even sell tickets online for free. One of the best methods for increasing registrations is using an event marketing software. Event marketing software like Bizzabo (pictured below) provide marketers with insights into ticket sales, attendance, revenue and much more. Interview real users about their experience with the platform. Chances are they’ll provide more insight than any of the marketing materials that you can find online. Decide on what integrations you’ll need to maintain your workflow. Already have a marketing automation or CRM platform you love using? Combine them with a great event software for some extra marketing magic! Determine how you’ll promote sponsors and exhibitors. Choose an event marketing software that can measure attendee engagement and provide the proof your sponsors need to make the investment. Do you need an event app? Some platforms charge extra. Consider finding one that includes it in their offer. Strategically gain insight into ticket sales in real-time. Certain platforms offer event registration statistics in customizable reporting. There are many helpful event marketing tools on the market. Check out our review of them based on third-party data in The Event Software Buyers Guide. Determine why you need a partner or partners and what you hope to achieve through the experience. Clearly define what responsibilities you and your partner would take over. Anticipate possible obstacles and provide two or three solutions for each. Partnered events can provide a far greater results than if one company decided to host an event solo. Sharing knowledge, increasing brand awareness, and doubling your resources are all excellent reasons why you should begin leveraging partnerships sooner than later. Consider these co-branded evens by Sales Hacker. Although it can be a serious investment at first, this event marketing strategy can really show its value through careful planning and data tracking. Did you know that 91.5% of all digital searches are conducted on Google? With a number like that, it’s no wonder why Google Ads have provided countless event organizers with successful online ticket sale opportunities. B2B marketers should begin by selecting relevant long tail keywords (specific, low search volume) and fat head keywords (more popular search terms). Depending on your industry, you may have luck with medium tail keywords which fall somewhere in-between. Take advantage of Google’s vast customer search data to fill out marketing personas based on a particular type of content (video, image, short form, etc.). Choose the type you think will be most relevant to your audience. Build Ads around your primary keywords and select your target audience based on your research from the previous steps. Set your budget and begin monitoring your campaigns. In the below example, you can see how Samsung and Advertising Week cash in on the keyword "tech conference". Testing is absolutely key. Once your ads are up and running, check in regularly and figure out what keywords are working and which ones are total flops. Replace the disappointing ones with or reconsider the ad copy. No matter how you choose to go about it, Google Ads can provide your event SEO strategy with an extra layer of assistance and visibility. (We’ll talk more about SEO further in this list). Online ticket sales have a lot to gain from content marketing. In fact, content marketing was found to be the most effective B2B marketing tactic in North America in 2015 (although a more recent study reveals email marketing to be the most effective marketing channel for events). And with the growing popularity of authority blogs and video content, that trend has some serious staying power. When putting together your event content strategy, there are two main approaches that are especially helpful for driving online registrations. The first is starting a company blog. This is a platform where you can let your creativity shine. One of the most popular choices for event marketing blog content is moving away from basic event details and instead offering sneak peaks and exclusive insider news. The video platform provider Brightcove is especially good at generating content from speakers and other stakeholder. Aside from the below example, you learn about their content strategy in this interview with their VP of Corporate Marketing Operations. The second way to utilize content marketing in your online event ticket sales strategy is by taking advantage of contributed content. This includes writing for the publications of your event stakeholders and also getting the word out through PR (which we’ll talk about more later in this piece). Securing media placement for content might seem tricky at first but there are some ways to speed up the process. These include crafting a compelling pitch, writing a compelling email subject line, and avoiding too much self-promotion (potential attendees will see right through posts that blatantly want to sell something to them). Add a blog and contributed content plan to your event ticket sale strategy as part of your pre-event content strategy so that when it goes live so you can get on your future attendees’ radar sooner than later. Smart event organizers know that websites for selling tickets work extremely well for increasing registrations and building brand recognition. The best way to drive traffic to your site, by far, is to optimize your event website’s SEO. After you’ve conducted research on your target audience and what keywords are most relevant to them, plug those keywords and any interesting related content you have into your event website. Avoid keyword stuffing by selectively placing keywords in the body of the page, the header, and the alt-text. Above all, you’ll want to match your content to search intent i.e. actually providing the answers to your visitor’s questions. A big part of this is providing the right kind of topic and related keywords. Also keep in mind that SEO is a long term strategy (and in some cases may not be the ideal marketing channel for your event strategy). With this in mind, be sure to start working on it sooner than later. In order to create content that is as relevant as possible to your audience, you’ll need to segment your email marketing lists. Strategic targeting boosts ticket sales when the right message is sent to the right people. Event marketers who use segmentation note that this more personalized method of emailing potential attendees yields higher revenue results too. Leveraging an event marketing platform like Bizzabo, you can even create segmented lists based on incomplete registrations. When segmenting your email marketing activity, remember to experiment with different email formats, offers, and subject lines. The goal is to maximize engagement so be sure to have your data capturing tool set up and ready to go before you click send. Track your progress and make note of what successful campaigns have in common. Use the information to enhance future campaigns. Check out these great event email marketing examples for more inspiration. One of the best way to sell event tickets is by offering up a sense of value alongside a little FOMO. Set a strict countdown for discounted or special offer early bird registration to get more registrations sooner than later. Prospects who were already set on attending get a little bonus for checking it off their to-do list now and new guests get a feel for the excitement and can be encouraged to join in the action. Notice how JOC Events leverages an early bird offer and an expiration date to FOMO-inducing effectiveness below. Twitter is an excellent source for checking how your audience is reacting to your event registration efforts and the upcoming event itself. Aside from leveraging partnership marketing contacts mentioned above, there are two main ways you can use the platform to boost sales. First, track buzz with hashtags. Encourage current ticket holders to share content with your event hashtags in receipt messages, follow ups, and through your other content marketing efforts. SXSW posted the below to drum up applications and awareness for their annual event. Check out how the post leverages the event hashtag. Second, keep your contacts in order with a Twitter List. It allows you to monitor the conversation as it’s happening in real time. Listen to your audience and make or alter your marketing to better suit their needs always, but especially leading up to the last day of sales. Start a relevant group. Create the group around solving a common pain point for future event attendees. Share quality content that speaks directly to their needs rather than pitching them for a quick sale. Buy ads or sponsorships. An eye-catching ad is also great for experimenting with marketing segmentation as well. Publish content. A LinkedIn original article is more likely to be seen and shared by your audience than a link that you’ve copied and pasted from elsewhere. Boosting exposure also helps sell more tickets. Check out how Sisense highlights the brands that will be featured at their event below. Take advantage of this often forgotten resource for your online event ticket sales. Your primary ticket sale tools on Facebook include the Events feature, Facebook Live, and groups. To make the most of them, be sure to get in early. Facebook is another long game tactic. Post a mix of helpful, personal, and professional content on a regular basis. Facebook is especially useful if you plan to have multiple events. As event social media expert Joe Comm suggests, create a Facebook group that feels like a meetup of sorts. Then create a separate page for every new event and invite members to it. You can also leverage Facebook Live to provide behind-the-scenes or special access content. Instagram is a great platform for sharing visual content for your event. If you’re looking for examples of how to master the platform to sell tickets, look not further than HubSpot’s INBOUND profile. Aside from the regular Instagram Posts and Instagram Stories, the social media platform’s new IGTV provides another great route for event marketers to sell tickets online. No matter how you choose to use it, Instagram adds a more accessible video sharing platform for B2B event marketing strategies and, at the rate of the company’s expansion, could one day surpass even YouTube in popularity. Retargeting ads are a powerful way to get your social media posts in front of more people. In many ways, the process of launching them is similar to launching campaigns on ad networks like Google Ads. 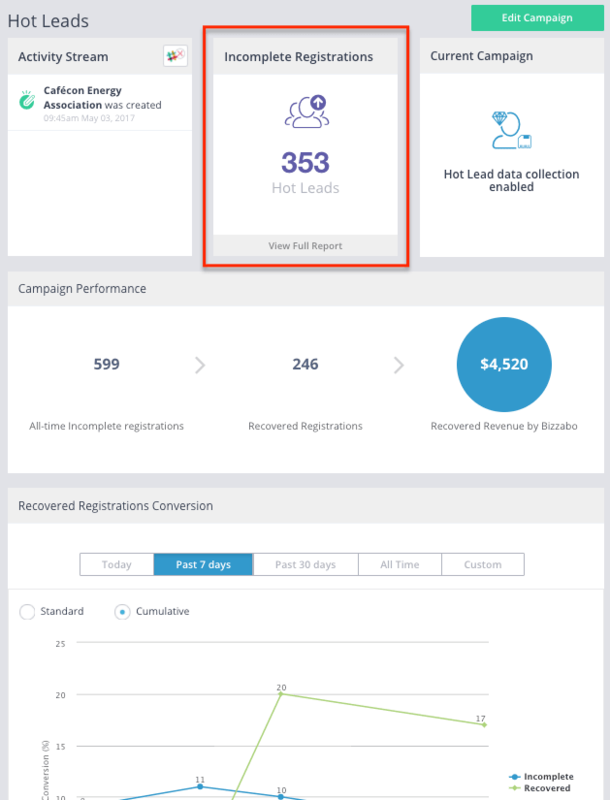 In launching retargeting ads for your event, it pays to have an advanced event management platform to streamline what is an otherwise technical process. Retargeting ads, by nature, require tracking the journey of a website visitor. You can see what pages they visited, which forms they enter and which actions they take in order to serve them relevant ads on other networks. From there you can create personalized campaigns, improve on already successful ad campaigns, and convert any prospects who did not register the first time they interacted with your brand online. We mentioned the power of video above. Now we’ll zoom in on one very powerful form of it: The recap video. Brand your channel with logo, color scheme, and appropriate playlists. Choose niche but accurate video titles to optimize your SEO. Make a montage with fun music showcasing last year’s event. Show teaser trailers of lectures from previous events. Create a “day in the life of an attendee” series to give your audience a taste of the experience. No matter how you choose to present it, recap videos and video marketing provide an added level of attendee involvement and continue to provide insight as to how and why your audience decides to buy tickets for your event. A succinct yet informative summary within the first few lines. Your most impressive stats and percentages. Where they can register for your event. A tone that speaks to people experienced in your industry but does not include unnecessary jargon. While an effective PR plan can and should be stage many months before your event, PR can also serve as a powerful last minute event promotion tactic for closer to your event day. Event websites are nearly essential for any event marketing strategy. But it’s not enough to have an informative homepage and be done with it—you have to make sure your content helps drive ticket sales in every possible way. Start by evaluating your website CTA placement and design. Check out this example by ZoomInfo. What makes the design in the example so effective is the stark contrast in color between the CTA button and the rest of the page. Also, the way that the CTA is placed throughout the website gives the visitor a reason many opportunities to click. The copy is short and to the point. Plus, the clean and minimalistic design helps guide the viewer’s eye towards the most key elements. Tiered ticket pricing models. By offering multiple pricing options you create the opportunity to provide a decoy package that will creatively suggest the hidden value within in more expensive options while still leaving the base price as an option. Social proof on registration pages. Testimonials, screenshot reviews, and an “As Seen In” section all add credibility to the your event. Positive follow up. Offer an additional discount code for purchases made after they register for the event. Kind gestures made after a prospect has their ticket in hand offer a more genuine connection and fosters additional trust. Employ all of these tactics for a truly stellar ticket selling strategy. Following the above, pricing your event properly is a huge component of driving registrations. The pricing structure you choose should reflect your event’s prestige, originality, and benefits to the audience. Price too low and attendees might think your event isn’t valuable. Price too high and prospects might balk at the number. You should also take your financial objectives into consideration. Offering varying levels of ticket types also gives you the opportunity to monitor your event registrations and make changes as needed. Past events might unlock even more clues into what structure would work best for your audience. No matter what you have planned, there are certain elements you absolutely must include in order to provide a crowd-pleasing agenda. Customize the look and feel of your agenda to make it more pleasing to the viewer and inline with your event branding. Tag sessions and include advanced filtering so users can search for items that work for them. Use filtered URLs to direct attendees to tailored agenda pages that close once the event has filled up. Create polls, allow session ratings, leave room for feedback directly on the agenda page. Gain insight from your agenda platform by viewing stats for likes, shares, and views. Check out how Gainsight offers attendees access to executives and customer success thought leaders at their Pulse World Tour event. Every element of your agenda provides an opportunity for marketing that goes above and beyond expectations. Last-minute ticket sales might be a touch stressful, but including a special can really generate buzz when executed properly. Just like with early bird specials, most attendees will appreciate a good deal. This can be a percentage off the price or the introduction of a new, discounted package option. When tracking event sales performance, it will be helpful to know when people are buying tickets and how they are buying them. For instance, you may see that most of your ticket sales occur during the last month of your event. To counter this, you could offer an early-bird ticket sale earlier in the event cycle. You might also notice that many of the visitors who are buying tickets for your event are coming through, say, LinkedIn. This would indicate that investing more in paid ads for LinkedIn could be worthwhile. In this piece, we’re focusing on driving ticket sales, but it may be the case that you are interested in tracking other goals. Some of the most popular event ROI goals aside from ticket sales include building brand awareness, driving sales revenue, educating customers, audience engagement, meeting or exceeding partner expectations, and recruitment. Each goal will have its own tailor-made ROI model. This might all seem a little daunting at first, but the right event technology stack can streamline this process for you. By now it’s probably clear to you that successfully driving ticket sales and registrations is not about one strategy or marketing channel in particular. Rather, it’s by leveraging the different channels at your disposal—together—that you will achieve meaningful results. Build Your Digital Presence: Having a well-designed website is essential to driving ticket sales. Branding, CTA placement and user experience are all things to consider in building yours. Determine Your Channels: Once you have your digital channels established, it’s time to figure out where you want to double-down. Each social media platform will have its own strengths and weaknesses, while email marketing can form a strong foundation. Track and Analyze Your Performance: From Google Analytics to tracking pixels to event software to marketing automation software, leverage tools that will enable you to track your efforts. Curious to learn about an award-winning event software? We might be able to help.